I graduated in Marine Biology (University of Liverpool) in 2004 and completed an MSc in Marine Environmental Protection (Bangor University) in 2006. I began a PhD in Marine Biology (Victoria University of Wellington, New Zealand) in 2007 in coral disease ecology, combining macroecology, experimental ecology, and histopathology to identify disease baselines and drivers of disease prevalence on Pacific coral reefs. A focus study site of mine was Palmyra Atoll, an uninhabited atoll in the Northern Line Islands. After obtaining my PhD in 2010, I was awarded a post-doctoral scholarship at Scripps Institution of Oceanography, University of California San Diego (UCSD) where I continued to work on the macroecology of Pacific coral reefs. This role at Scripps transitioned into an Assistant Project Scientist position within the Center for Marine Biodiversity and Conservation in 2013. I left Scripps in late 2015 to return to the UK and take up my full-time role within the School of Ocean Sciences at Bangor University. I am a marine ecologist specialising in coral reef ecology. My work focuses on the interaction of organisms with their environment, often taking a macroecological approach. I am particularly interested in how human activities and natural biophysical gradients interact to drive community patterns across multiple trophic levels (microbes to sharks) and scales (individual reefs to entire ocean basins). Much of my work incorporates remote coral reefs free from direct human impact, providing key replication at the unimpacted end of an intact-to-degraded ecosystem spectrum. By surveying across extensive geographical areas we address broad quesitons pertaining to: 1. the human, climatic and oceanographic drivers of coral reef ecosystem structure and function, 2. climate change impacts to coral reef ecosystems, 3. the spatial ecology of coral reefs, and 4. disease dynamics on coral reefs. I teach a range of undergraduate and postgraduate modules in marine ecology, applied statistics, and statistical programming. Alice Lawrence (started Jan 2019) - Thesis title: The natural and anthropogenic drivers of reef fish community structure and function across scales. Helen Ford (2017-present) – Thesis title: The seascape ecology of disturbance and recovery on Pacific coral reefs. Bethanie Francis (2016-present) – Thesis title: Biological signals of the Island Mass Effect. 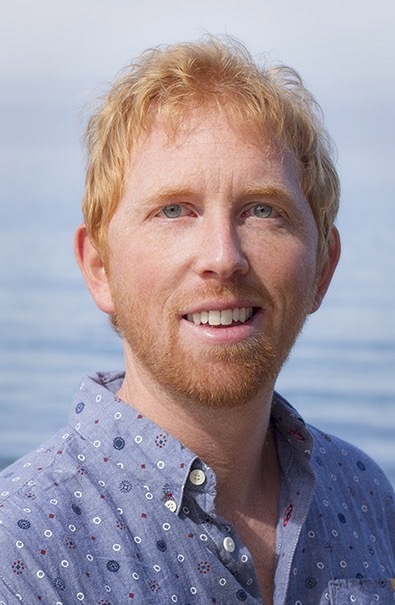 Tim Durban-Jackson (2016-present) – Thesis title: The use of high-resolution remote sensing to advance temperate reef ecology. Janeen Hadj-Hammou (2017-present) – Thesis title: Functional changes in coral reef marine protected areas (Lancaster University). Stacey Carless (2016-present) – Thesis title: Spatiotemporal variability of internal wave dynamics on Pacific coral reefs. Anna Woodhead (2016-present) – Thesis title: Capturing ecosystem service delivery from coral reefs (Lancaster University). Ellie Vaughan (2016-present) – Thesis title: Quantifying nutrient signals on coral reefs (Lancaster University).